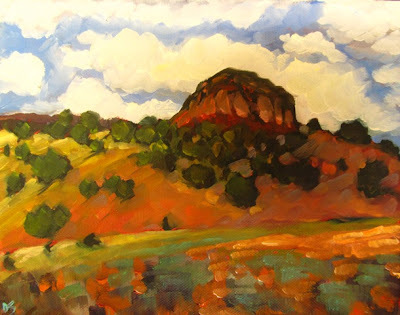 This is a painting of the clouds, mountains and hills of Abiquiu, New Mexico. I think I took this photo on a beautiful fall day trip last year. This is so beautiful Dee, I love following your paintings, the colors are so vibrant! Leah, Thanks for the nice words - I admit, I've felt a little disorganized lately, so I guess there is hope!